Jan 11 - Singer Leona Naess played the pretty girl and Elton John was the Wizard, as seen above. Jan 11 – Singer Leona Naess played the pretty girl and Elton John was the Wizard, as seen above. 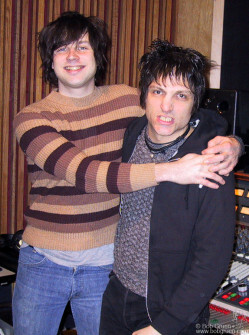 Jan 9 – While he he was in New York, Ryan produced a new record for well known NY Rocker, Jesse Malin. Those that have heard it are raving about it and think it’s the best yet for Jesse.